We install Double Glazing Southampton across Winchester, Bournemouth, Southampton, Portsmouth, Chichester, West Sussex, Hampshire, Wiltshire, Surrey and surrounding areas. Get your bespoke double glazing quote today, with no obligation. We’ve been providing our Southampton customers with excellent double glazing products for more than three decades. Our product range includes windows, doors, conservatories and more in Southampton and Hampshire to become one of the region’s most respected names. We specialise in uPVC, aluminium and timber frames, with the goal to deliver the best product to meet your requirements at a competitive price. We use only the latest technology to provide both security and energy efficiency. If you’re looking for an installation from a company that is recognised by industry bodies such as FENSA, then we are always happy to help. Our knowledgeable staff have a range of home improvements experience, so you can be sure they will offer impartial and friendly advice on our products to suit your needs. At County, our range of double glazing will help you meet your home improvement project needs. we offer our customers a range of windows, doors, conservatories and conservatory roofs to improve their Southampton home. Each product comes in a selection of styles, colours and designs. Our Casement Window profile provides even great energy efficiency for your Southampton home. The unique six chamber system we use can achieve an A+ rating, even higher than certain glass combinations. The frames are completely lead-free, contributing to a lower demand on energy supplies. The uPVC Tilt & Turn Window provides additional ventilation without compromising your security, and is suitable for modern and traditional buildings alike. Our uPVC Bow and Bay Windows comprise a contemporary but conservative trim that preserves period charm with an attractive yet subtle modern twist. These windows will look stunning in your Southampton home, whether it is modern, traditional, period, heritage or new build. The uPVC Flush Sash Window gives your Southampton home the traditional timber appearance, with the sashes sitting flush in the frame, but provide the benefits of modern technology. They are the first flush sash product to be manufactured with a 70mm uPVC outer frame profile, and benefits include low maintenance, extra security, comfort and weather resistance. The uPVC Sliding Sash Window combines the period charm of original sash windows with the modern benefits of up-to-date materials, engineering and manufacturing methods. As well as providing better soundproofing, these windows are highly secure thanks to the steel reinforcement and multi-point locking systems. The uPVC Slimline Window uses a 6 chamber SlimSash profile which has a larger glass area, allowing more daylight to flood into your home, yet still achieving outstanding energy efficiency and security. Our range of Aluminium Windows offer distinctive styles and designs to suit all types of property in Southampton. We make sure to combine the traditional appeal of timber with the trusted performance of aluminium. Our product comes with kitemarks to prevent weathering and a Secured by Design accreditation for its security features, giving homeowners total peace of mind. All of the ranges can help you cut your heating costs whilst providing an excellent looking product. Each of our windows are available in customisable colours and styles, improving your home’s thermal efficiency, security and look. Our high-security uPVC Front Doors are the uPVC alternative to the composite door, and come with Yale locks as a standard, keeping you and your Southampton property safe from unwanted visitors. All our uPVC entrance doors are available in White, Mahogany, Rosewood and Golden Oak finishes, as well as coming in a range of styles. Our uPVC Back Doors are highly secure, with Yale locks installed and a multi-point system integrated into the frame. This prevents the door being used as a point of leverage. Our uPVC French Doors add a touch of French to your Southampton property, connecting your home to your garden, conservatory or extension. These doors combine the best in function and form to offer you a door that exudes a stylish European charm. We offer 20 different colours and woodgrains for this type of door. Our uPVC Patio Doors use a beautiful and functional system which is elegant in its presentation and simple to use. Our Aluminium Bi-Fold Doors are versatile and an aesthetically pleasing option for your Kings Worthy home. Entire walls can be opened in moments to a garden, patio or courtyard, inviting the glory of the outdoors into your home. Our Aluminium French Doors are far superior to their uPVC counterparts. Fast becoming the product of choice in Southampton, the slimline, high-strength frames, long-lasting colour and generous glazing area make this door such a popular choice. The eye-catching addition of an Aluminium Patio Door to your Southampton home will give you a seamless entry to your garden. These doors are made from high-strength frames and extendable, allowing you to fit them into your property with ease. 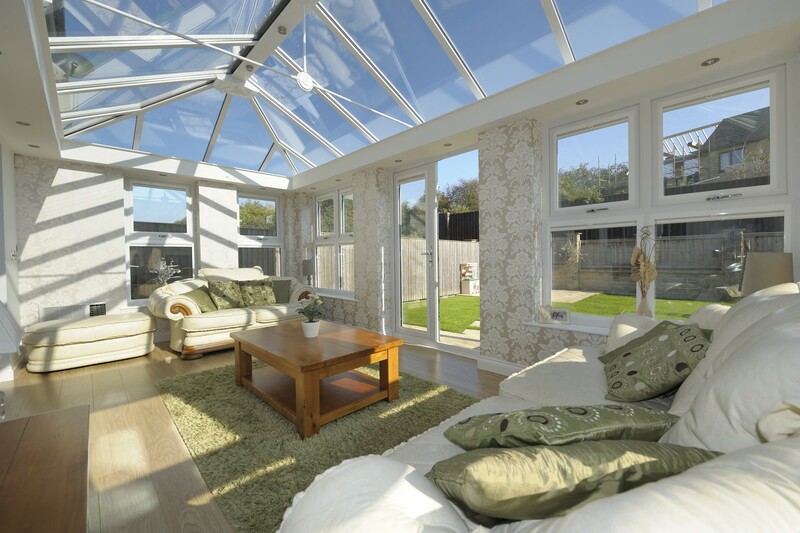 If you’re looking to upgrade your existing conservatory, we also offer a variety of conservatory roofs, including the Glass Conservatory Roofs, Tiled Conservatory Roof and Solid Conservatory Roofs. All of our double glazing products at County Windows come with a 10-year guarantee, so if you have a problem with your double glazing installation (which is highly unlikely), a member of our team will be able to fix it for you. If you’ve seen a double glazing item you feel will enhance your Southampton home or you would like to discuss a double glazing project, then get in contact today. Our team can be contacted on 01962 840 780 and are ready to take your call. You can also fill out our contact form and one of our members will be back in touch. For those who already know what double glazing items they need to improve their Southampton home, why not receive an online quote. This will give you a bespoke quote of how much our services will cost you, and there is no obligation to book. We have showrooms across the south including Winchester and Southampton, with teams based throughout Hampshire and Dorset.